So I asked NMAI for a copy of the book, eager to see what new perspectives awaited within. And…I was left wanting. 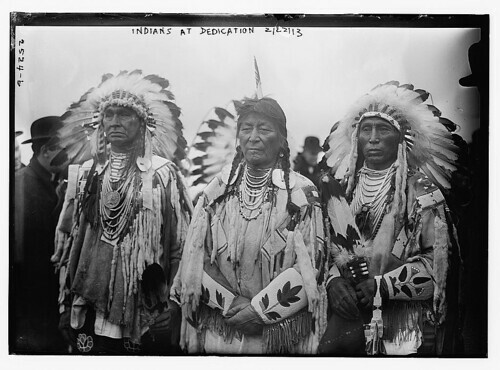 Here, for the first time, is the little-known history of the American Indians and American presidents, what they said and felt about one another, and what their words tell us about the history of the United States. In a nutshell, though, it’s not. The book is separated into five chapters, plus an overlong Introduction. Each chapter focuses on an era and covers the entire span of the United States, from revolution to present day (which is to say, late 2008; there’s no look at Obama’s presidency yet, just a quick blurb about his positioning during his election run). And each chapter is written by a different historian. I so dearly want to dive in and pull out tidbits of information, divulging them here for you to discover and chew on…but I can’t. It’s not really all that possible with this book. It reads, by and large, like a standard college history textbook. Certainly the important dates and points of various events are covered, but in general terms. And every single presidency is discussed, though very little in depth. The Native American personalities are snapshots; quick names, dates, and tribal affiliations scroll by, sometimes with a point here or there, but with little cohesion. It is, simplistically, a large timeline with small asides here and there to various presidential quotes or citations regarding their Indian policies. For someone who has never really followed this era of history, it’s appropriate. But it’s not engaging. 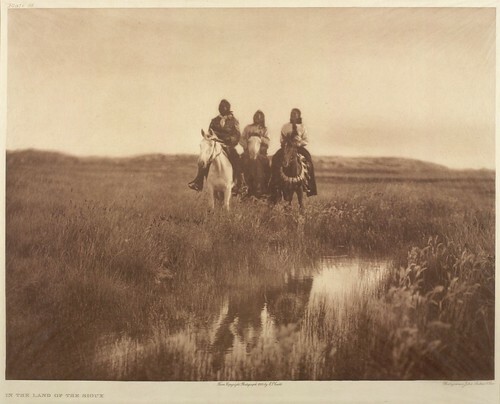 This period of time is rife with emotional kindling, from families and tribes torn asunder with no respect to personal rights, to the forced “civilization” of Native children, to underhanded and greedy tactics by various people (on both sides) simply to claim land – and its natural resources. Personally, I still find Dee Brown’s excellent Bury My Heart at Wounded Knee a better perspective of the era, an emotionally charged account of various events during the nineteenth century. Because to really understand this era, these tragedies and trials, simple dates and places just don’t cut it. It’s a tale that requires an immersion of our heart and soul, in order to understand it with our mind. And I think that’s what disappointed me the most about it – I was expecting something to further fuel speculation and thoughtful discourse, and received basically another history textbook. While Trafzer tries in the Introduction to tie all of the sections together with the common thread of the question of sovereignty, the fact is that not every chapter addresses this question. It’s a hot-button issue with all Native American nations (and has been since the first Europeans landed on America’s shores) but it remains an afterthought in this sprawling work of history. To the book’s defense, however, it is trying to capture a very convoluted, twisted path into a cohesive package, and that’s not easy. Every tribe has its own unique dealings with the U.S. government, and its own perspectives. 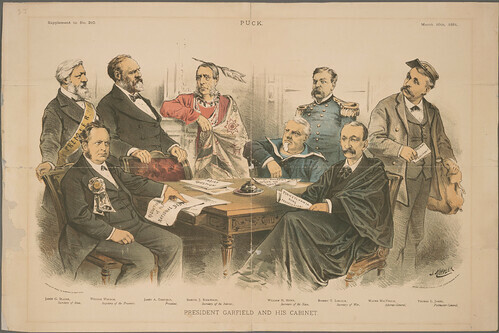 Not only that, every presidential administration has its own perspectives and dealings with the Native American nations; some moreso involved than others. Trying to document every single viewpoint or dealing that Natives have had with every presidential administration is a strenuous undertaking, never mind attempting to put issues on the table for dissection and discussion. In the end, the book simply tries a little too hard to stretch beyond what is a solid recounting of Presidential history regarding Native Americans. There is some redemption within its covers. The colorful sidebars of various people, objects, and events are nice diversions from the overarching, dry text. It is here the book really shines; the sidebars are more intimate, personal, and engaging. I do wonder that if the book had more of that tone and content present, it would’ve matched up more to what I had hoped it would be. The value of understanding how much of a role Native Americans have had in our nation’s history is incalculable. Both for good and for ill, it’s tied into the soil of this country and feeds our future actions. While it’s good that books like American Indians, American Presidents: A History exist, it’s not nearly enough. They only barely scratch the surface, whetting the appetite (or overwhelming it). If you’re new to this realm of understanding, it’s a great primer. But to understand the conflict, the people, the essence? Dig deeper. You’ll find that the plight of Natives in this land will touch your heart and your soul – and both our country and our humanity will be better for it. If you want to learn more about the people, the culture, and the continuing story of the Native Americans, your best starting place would be the National Museum of the American Indian. There’s tons of events still going on this month, so make sure you check out their Events calendar for more information.